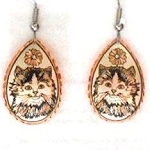 Here is a wonderful selection of earrings featuring cats and kittens. Cat earrings complement any cat lovers outfit. 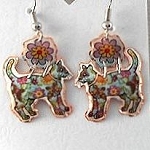 Earrings featuring cats and kittens complement any cat lover's outfit.